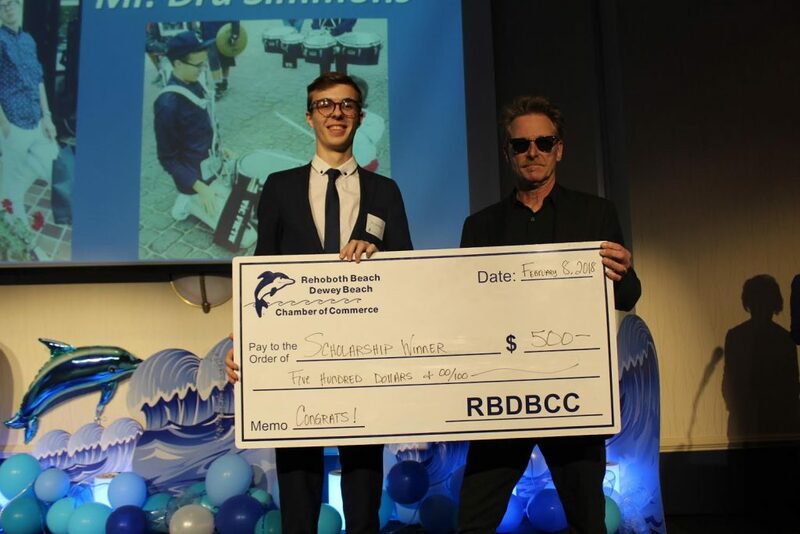 True Blue Jazz thanks our partner, the Rehoboth & Dewey Beach Chamber of Commerce, in making this Music Education Scholarship possible. 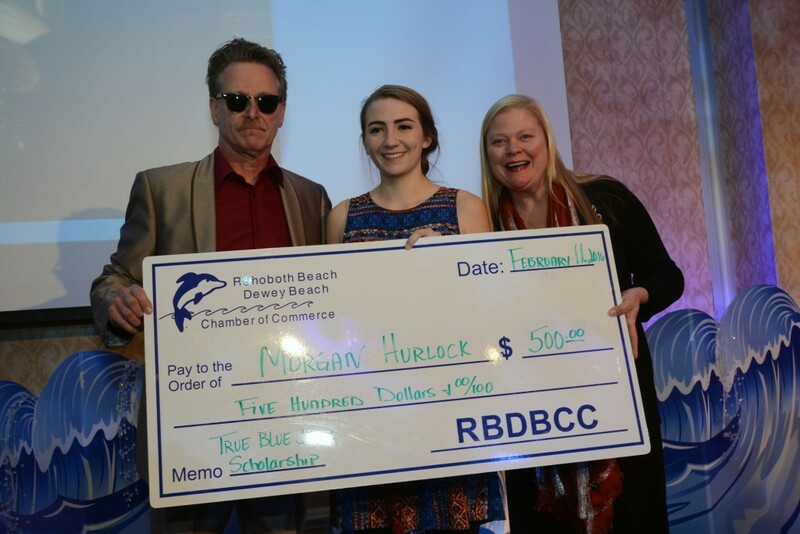 The first-ever True Blue Jazz Scholarship Award was presented to Cape Henlopen HS Senior, Morgan Hurlock at the Rehoboth/Dewey Beach Camber of Commerce Annual Banquet on February 11th, 2016. 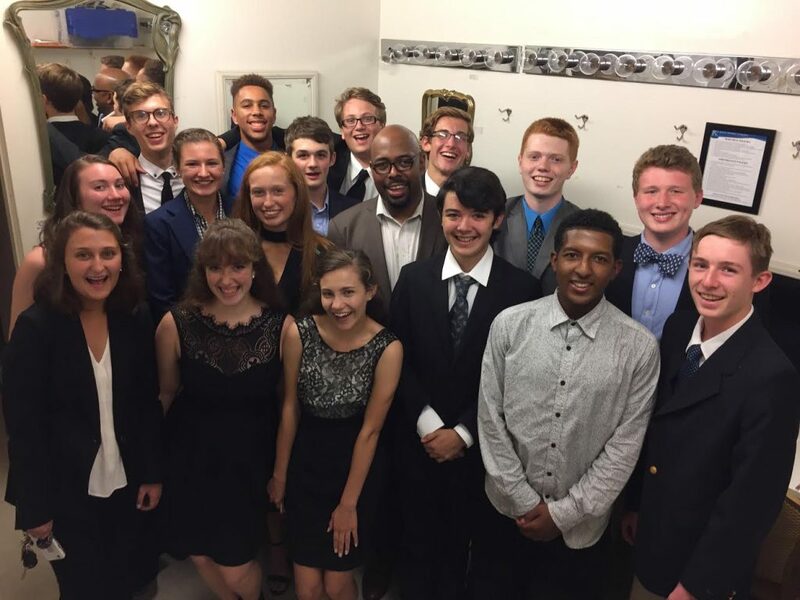 Morgan Hurlock plays Alto Sax with the Cape HS Jazz Band, and she intends to continue her Jazz Studies as she enters college to pursue a career in Music Education. Morgan accepts her Scholarship Award Check here with True Blue Jazz Founders, Peggy Raley & Eddie Sherman. 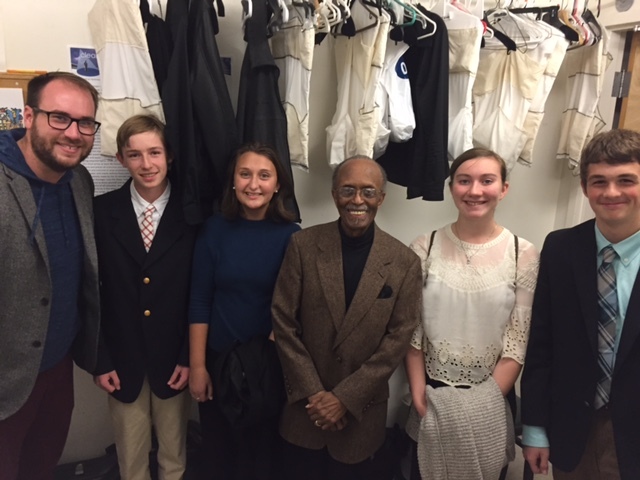 The RB/Dewey Beach Chamber partnered with True Blue Jazz to support the local community’s aspiring young Straight Ahead Jazz Musicians from the Cape Henlopen High School Music Program. There are no musicians of the future if they are not nurtured, encouraged and educated today. Serving on the board of The Lawrence “Scotty” Scott Foundation proved to be an awe-inspiring experience in making a concerted difference in the lives of young people across the Delmarva Peninsula. From providing instruments to young people who couldn’t afford them, to providing sheet music, music stands and special instruction to school districts whose budgets had been stripped by school boards, I have been privledged to provide and witness the difference one small organization can make in the lives of many children. Since The “Scotty” Foundation ceased operation, we at True Blue Jazz Inc. have seen an incredible need to reach back into the lives of children and their teachers in the music world. TRUE BLUE JAZZ is honored to pick up the mantle where The “Scotty” Foundation left off. If you can change the life of one child, you have made a difference. If you can change the life of one child, and you can seek to enrich the lives of all children in a community by the power and beauty of music, then you have started a beautiful revolution. Music is math, it is freedom, it is expression, it is culture, it is life. We are proud to persevere in this effort to sustain a gloriously fulfilled life of not just one, but what we hope will be the lives of many children. 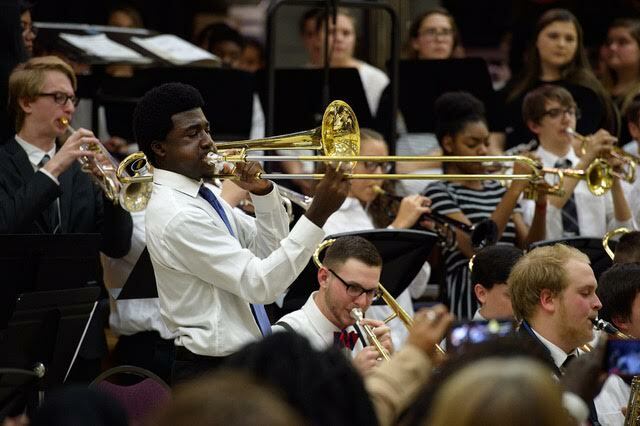 Young lives enriched and enhanced by Jazz…in all it’s amazing and musically expressive forms. Jazz Vocalist & Co-Founder of True Blue Jazz Inc.